Max also became the first British man to win a World Gymnastics title in 2015 after taking gold on the Pommel, and silver in the Floor competition as part of the history-making team who became the first British men’s team to win a World Silver medal. At the age of just 24, Max has amassed an incredible 24 major championship medals after bursting onto the scene in 2010 and picking up three medals in his first major competition at the Commonwealth Games in Delhi. 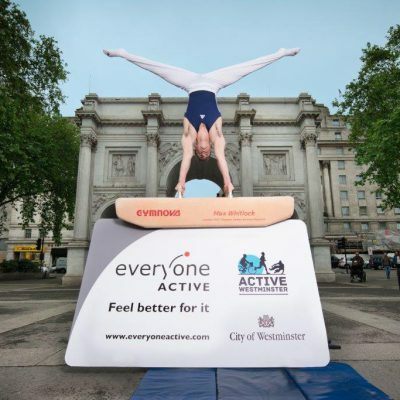 At his first Olympic Games in 2012, Max won bronze team and Pommel Horse medals; Max was also part of the pioneering British men’s team who won gold at the 2012 European Championships. More success followed and, in 2013, Max became English and British All-Around Champion and won gold, silver and bronze at the European Championships. At the World Championships that year, Max took silver on the Pommel Horse and came fourth in the All-Around competition. 2014 was another standout year for Max. He won his second British All-Around title, along with European Gold on the Pommel Horse and silver in the Team competition. At the 2014 Commonwealth Games in Glasgow, Max won a phenomenal five medals, including three gold, in the Team, Floor and All-Around competitions, making him England’s most decorated Commonwealth gymnast. In recognition of his great achievements, Max was awarded an MBE in 2017 for his services to gymnastics.